Chennai: Two doctors are facing suspension for a period of six months each, after Tamil Nadu Medical Council found them guilty of separate accounts of unethical practices.The council has initiated action against the concerned doctors after they had been found guilty in two different cases. The first case is that of Dr Tamil Selvi, who has been suspended for prescribing unverified, unsafe health drinks to a patient. “She prescribed unsafe slim health drink (anti-obesity drink) to a patient, and a complaint was filed by the patient’s relative. She has been practicing for eight years and has been barred from practice for six months,” said an official to New Indian Express. The victim also lodged a complaint with the Food Safety and Standards Authority of India (FSSAI) sometime back and the case has been under trial. The other case is that of one Dr Jose Chellan from Choolaimedu, who has been found guilty of misrepresentation of qualifications.” Dr Chellan completed his MD in Russia and also did his MS, Ortho ( not recognized in India) there. He subsequently passed the MCI screening exam in India and began practicing in Choolaimedu. The MD degree there is considered equivalent to MBBS degree here. But the doctor, who has also completed MS in Russia, which is not recognised by the Medical Council of India, was practicing, displaying the name board as MS (Ortho),” said a TNMC official told the New Indian Express. 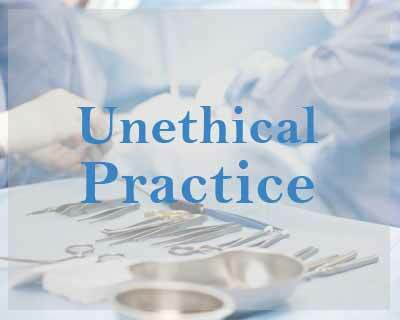 The doctor began facing disciplinary surveillance when a group of local activists complained against him for unethical practices. He was then asked by the committee to file an explanation, and following which was issued a show cause notice. “Jose Chellan’s wife who is a physiotherapist was also prescribing medicines at the clinic,” said the official. TNMC has ordered the removal of their names from the registered medical practioners in the state for a duration of six months each. Who looks into all this. India needs more doctors but an MBBS can’t misrepresent himself as MD. One solution is for MCI to enforce changing their so called MD from outside to MBBS once they clear the indian exams.